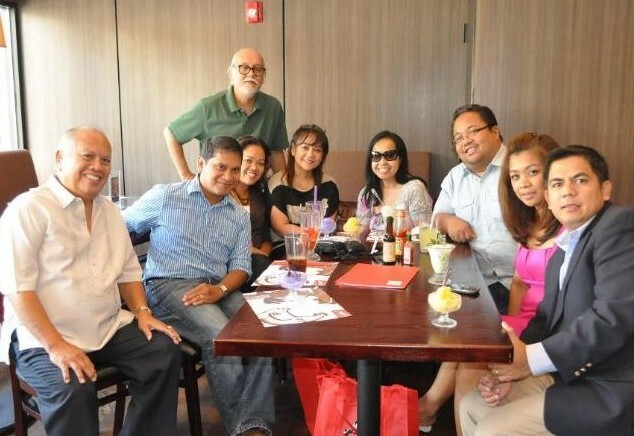 Members of the FilAm media gathered September 1 for Max’s Eat All You can Chicken press launch for what promised to be a marathon eating contest. Max’s in Jersey City is slated to launch its EAYCC promo from September 6 to 30 and sort of dared journalists to see how much chicken they could consume in one sitting. Eat-all-you-can-chicken is priced at $10.99 per person. On the West Coast, where a similar promo is running in several Max’s locations, the price is $9.99 per. “Because chicken on the East Coast is more expensive,” replied owner and franchise holder Patricia Berberabe. We turned out to be a bunch of wimps. Each of us was done after just a couple of quarter pieces and a cup or two of garlic rice. “Suko na kayo?” Aling Pat jokingly taunted the press corps, setting the mood for a relaxed gathering of journalists who are essentially friends on the beat. “What makes Max’s chicken stand out is the way it’s prepared, without the thick batter that other brands have,” said Grace Hufano-Labaguis, marketing consultant for GMA Pinoy TV. Max’s has one location on the East Coast versus about seven on the West Coast. Aling Pat disclosed her family is mulling a second site in Southern Jersey. Who knows, maybe New York is next? 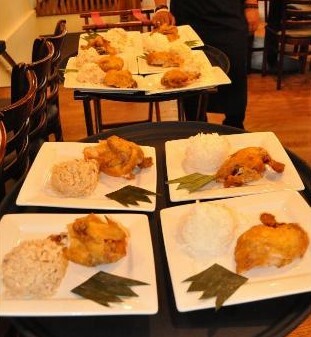 The all-Filipino-owned Max’s was founded in 1945 by Stanford-educated teacher Maximo Gimenez. Story is that he befriended American troops in post-war era and would invite them to dinner in his home in Quezon City. The soldiers liked his fried chicken, and that inspired him to open a restaurant. The flavoring, which is distinctly Filipino, remains a tightly guarded secret. Someone made a comment that Max’s chicken was delicious either as white or brown meat, to which many in the group nodded. The simple but hearty meal was capped by ice cream dessert. The post-prandial camaraderie led to the creation of an informal press club. I think that’s what good food does. It brings out the family in people. Plates of chicken rolled out to the media. 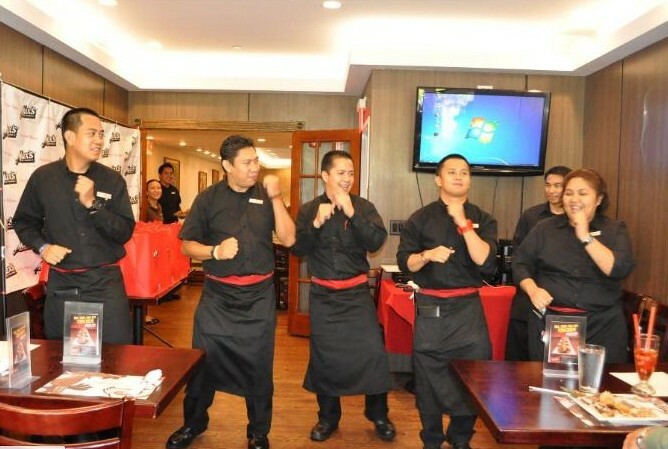 Service crew does a dance number. Dynamite! Elton Lugay is a journalist, publicist and a community events organizer.